Hosting 4 Less specializes in high quality web hosting services. Since our inception in 1998, our web hosting service has never been a reseller of another web hosting provider. We are pleased to offer low cost web hosting services starting at $9.95 a month. Sign up with Hosting 4 Less, a reliable web hosting service that cares about your business, and will make your web hosting experience a pleasant one. 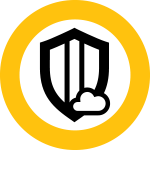 Certs 4 Less is a Platinum Partner for Symantec, GeoTrust, Thawte and RapidSSL. We purchase SSL Certificates in large quantities and then pass the savings on to you. The SSL certificates you purchase from us are issued directly from Symantec, GeoTrust, Thawte or RapidSSL. With our dial-up Internet service there is no software required. You can use our dial-up Internet access on all operating systems such as Windows, Macintosh or Linux. Sign up today and start saving money by using Dialup 4 Less as your dial-up ISP. In this era of the IOT (Internet Of Things), it is crucial that your M2M (Machine-to-Machine) network have a constant and reliable high-speed Internet connection. No-Wire Access offers high-speed wireless backup Internet failover and primary Internet connection solutions. M2M examples include case scenarios such as a POS (Point-Of-Sale) systems, automated data metric collection devices that relay monitored information from oil rigs, wind farms, solar power farms, ‘dark un-manned’ facilities, etc. Don’t rely only on a wired Internet connection again. At MalwareScanning.com (a subsidiary of Certs 4 Less & a Platinum GeoTrust and Symantec Partner), we offer proven tools to keep your site safe and costumers confident. We have multiple products, starting with the entry level product that scans websites with a few pages to the top of the line product that scans hundreds of pages of a website. Malwarescanning.com also offers Endpoint Protection from Symantec. Endpoint Protection will help you secure your information against more risks at more points, more completely and efficiently than any other company offering server, workstation, mobile and messaging security.